Oscar is the sweetest little schnauzer when he’s around humans, but he can’t get on with other dogs! Welcome to the Puppy Place – where every puppy finds a home! Charles and Lizzie Peterson love puppies. Their family fosters young dogs, giving them love and proper care, until they can find the perfect forever home. 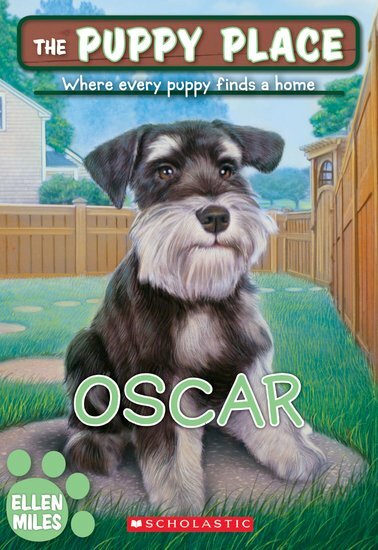 When Lizzie gets a phone call from Aunt Amanda about Oscar, she wants to help him to get along with other dogs. – Whilst Lizzie loves frolicking around with the friendly canine, she knows Oscar needs a puppy pal too. Will Lizzie be able to find this pup a pawed playmate?